Memorial Day is right around the corner! This day is meant for honoring those who lost their lives serving our country. While sometimes the harsh reality of martyrdom seems far removed from our day-to-day lives, Nashville is steeped in American history that will help you to remember the lives that were laid down for our freedoms. Check out some of Nashville’s historic sites below! Start your journey at the Tennessee State Capitol, where you can find two statues of Andrew Jackson, our nation’s 7th president, and Sgt. Alvin C. York, a hero during WWI. Located adjacent to the Capitol, Bicentennial Capitol Mall State Park is a 19-acre park that includes a WWII Memorial to visit. Next, head to the War Memorial Auditorium which was built to honor our fallen during the Vietnam and Korean War. Across the street is the main Tennessee State Museum where you can discover Nashville’s role in the grand scheme of our country’s history. Bonus: All of these sites are free to visit! 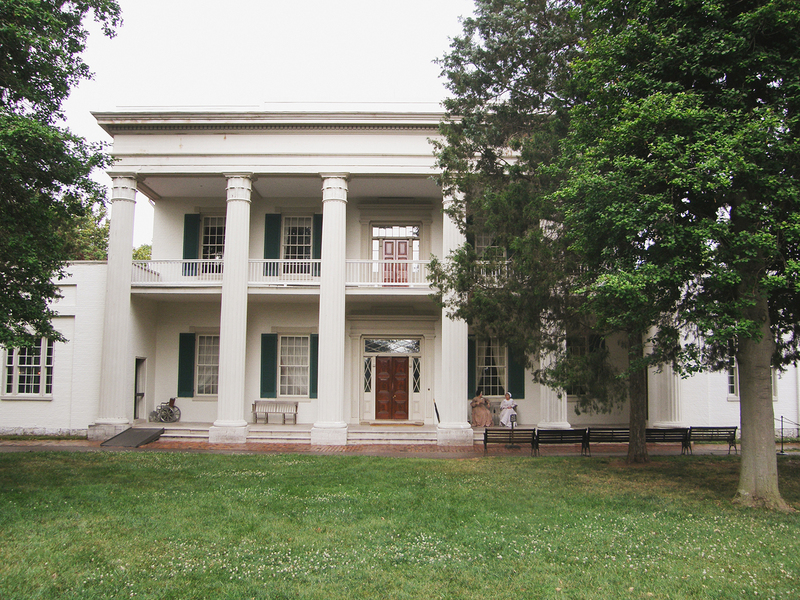 Rated the third best Presidential Site in the nation by USA TODAY, The Hermitage is a must-see in Music City! Located 20 minutes from downtown Nashville, visitors can walk through Andrew Jackson’s life and home, explore a beautiful farm and experience an important piece of Nashville and our nation. Bonus: Active military personnel get one free general admission ticket. Explore the largest inland fort built in the United States during the Civil War, Fort Negley. Listed in the National Register of Historic Places, this fort occupied the center of the Federal defensive line, which stretched in a wide circle around the southern part of the city. Bonus: Enjoy a great view of the city during park hours, dogs are welcome! Built by Judge John Overton in 1799, Travellers Rest is the oldest historic home in Nashville open to the public. Saved from demolition in 1954, the historic house was restored to interpret the early 19th century life of Judge John Overton, one of the state’s first Supreme Court Justices, the founder of Memphis and a close personal friend of Andrew Jackson. Bonus: The historic house doubles as a venue for weddings and special events! Nashville’s moniker “Athen’s of the South” is signified in the full-scale replica of the Parthenon in Athens, Greece, including the 42-foot statue Athena. Built in 1897, this centerpiece of Centennial Park also serves as the city of Nashville’s art museum. To go inside this beautiful structure, admission is typically $4-$6. Bonus: The 132-acre park includes a one-mile walking trail, Lake Watauga. Interested in living in a neighborhood near one of these historic sites? Contact us at 615.807.0579 to set up an appointment to find your dream home today! See here for available properties in the Nashville area.